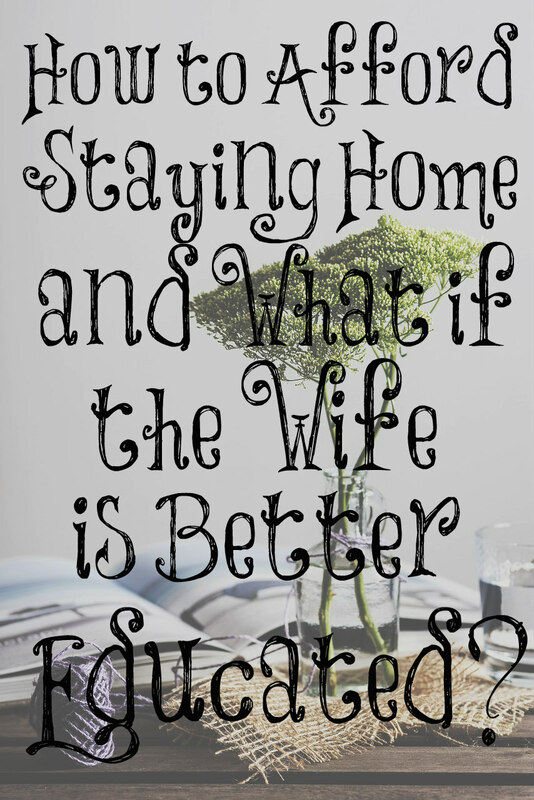 How to Afford Staying Home and What If the Wife is Better Educated? 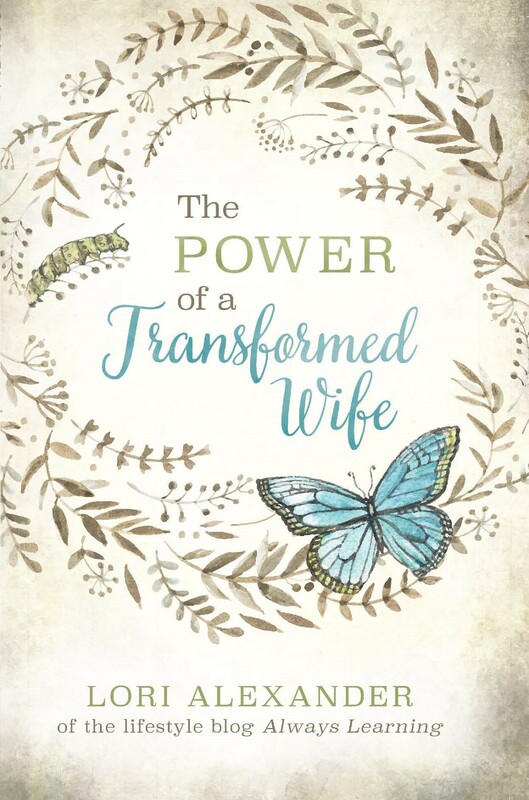 When I teach that women are to be the ones to work hard at home and be keepers at home, I teach what God calls women to do; looking well to the ways of their household and not eating the bread of idleness. My mom never expected my dad to do housework. He was away from home twelve hours a day five days a week and when he was home, she wanted him to rest and he did. Working outside in the world is a whole lot harder than working in the home if the children are disciplined and trained. My four children were in bed for two hours a day for naps so I could rest. If I was sick, my children played on the floor around me when they were young. Many men are working many hours a week and some even must work more than one job in order to pay the bills. They deserve to come home to a hot meal, clean home, and be able to rest. As our children get older, it even gets easier for us who are at home, especially if we’ve trained the children to help. Once they are grown, it’s even easier, yet men have to still work long hours every week trying to make money. With a bit of organizing, decluttering, not running around a lot, and living on a simplified schedule, life at home as a homemaker can be mostly pleasant and enjoyable. Yes, it’s hard work but hard work is what we were created to do. Suzanne: Wow, that is a tight budget! I don’t even know where to begin on cutting costs like that. Debbie: We’ve made it almost 27 years on one income at a very average wage and four children! Sacrifices made are worth it. Angel: We knew it would be hard for us, but we did it because it was important to us. I’ve worked here and there but in the end, home is where I meant to be. My husband has always wanted me home. When I work, we see it more that I need to be here. Eat at home, turn off cable, lower your cell phone bills, do stuff for free, find free things to furnish and decorate your home. Don’t buy movies or books–borrow from the library and friends. The list goes on and on. Pray about it more. God will direct you and He will make you and your husband agree. Debbie: No cable, lower cell phone costs, make personal products and meals at home instead of buying, no new vehicles (repair what we have), no mall (yard sales, Goodwill), no manicures out (do it myself), cut back on eating out, no movies out (we still have fun), no keeping up with the Jones. Jessica: When I began my stay at home season, my husband was only working part-time. God was in it and we even managed to buy our first home on that single income. He eventually went full time but we also added four children to our family. His vehicle is 30 years old and mine is 15+ years old and we do our best to live within our means. When it is a priority and important, it is possible with God’s provision. Debbie: Venus, I just read a testimony about a woman with a PhD leaving the workplace and coming home. She said she has no regrets at all. Rebecca: My husband has no college education. For at least 20 years he made less than $18000 a year. We we’re content and happy. We did without a lot. We prayed for what we needed. We paid $3000 for our 15 passenger van that we prayed for. We’ve been driving it for five years with very few problems. There’s ten in our family. When there was only eight we lived in a single wide trailer for five years. We grew most of our food for years. God has blessed us mightily! Sasha: I have three college degrees, my husband has none. We have nine children. It works. God provided. What I need help with is burnout… Finding my joy in the home again. Me: Sasha, keep saying to yourself that the joy of the Lord is your strength and a cheerful heart does with good like medicine. We are transformed by renewing our minds with the truth. Venus: I’m not asking about myself. I have enjoyed being a stay at home mom to two children who are now 30 and 33. I am still married to their father for 36 years and I am still at home while he works, and I help out with my grandchildren. What better job could I have but this God-given job? Praise the Lord. Rebecca: Women at home can be more frugal and creative with what they have. I actually saved money but staying home. I was mad at myself for not quitting my job sooner LOL but you live, you learn. If you have children and would need to pay for child care, often it just doesn’t pay to work. When I worked outside the home and my oldest 2 were young, I barely brought home $100 a month after paying for daycare. Infant care can run $700 to even $900 a month, for one baby, and toddler care isn’t much cheaper. I know moms paying over $1500 a month for child care. Thank you Lori for this post and ALL your others. I look forward to them every day and learn so much! I’ve been happy to stay home all my married life (37 years). (My husband has a had a good, steady job all that time and has wanted me home.) Our children are grown and now I get to help out with our grandchildren who are such a joy. There’s proof everywhere that families can live on one wage – and here in Australia with free healthcare should we choose, un-employment benefits, rent-assistance, child benefits for each of your children etc. (cheaper accommodation if you can choose to move towns/suburbs) – generally (and said with kindness), no-one should have any excuse to say they can’t live on one wage. “Misty” (in your blog post) must live somewhere exceptionally cheap if they lived on $9000 for the entire year! Where I live, you can’t even rent a house for less than $9000 a year!! Our grocery bill for 6 of us is about $13000 a year! Petrol for both our cars is around $3000 a year. On top of that, there is WOF and registrations for them both, plus repairs – they’re both 20+ year old vehicles. Our phone/internet (including cell phones for both of us) is $1500 a year. Our power bill is nearly $6000 a year, and we’re on the cheapest power plan possible. We get as much free firewood as we can, but we still need to buy around $600 worth every winter – we live in a place with long, cold winters. Plus we’re clothing 4 kids and 2 adults, and need to pay for doctor’s visits etc. We live in one of the cheaper parts of the country (not America) yet living is still very expensive. Food here is not cheap. We have a vegie garden but because of the long, cold winters, can only grow a limited amount. Then there’s the kids schooling, which isn’t cheap, even though education is apparently “free”. I’m sorry, but when people tell me they live on some ridiculous amount like $9000 a year I don’t believe them. I don’t see how it is possible. With hubby’s business and my part-time work, we gross about $32,000 a year and we don’t have the money for any luxuries. I’m all for women staying home and families tightening their belts to make it possible for the woman to be at home with her children, but reading completely unrealistic claims on here just doesn’t help. I understand that in America food is a lot cheaper than it is here, and electricity is a lot cheaper too, but all families still need a certain amount of money just to survive. Sharing with us HOW people stretch every dollar into three would be infinitely helpful. Woman skiting about how poor they are, without sharing how they do it, just makes the rest of us (me) feel inadequate. Kids have needs that need to be met. They need to be fed. They need to be clothed. They need a roof over their heads, a warm place to live, a nice warm bed. They need education. All of that costs money. And in this country, it costs a huge amount more than $9000 a year. It’s possible but yes we live in the sticks!! We pray for God to take control of our finances… we have reduced down to gas, electric, and car insurance but that leaves alot of things out that we don’t get to enjoy also… but what I’m saying is everything is possible with God!! I love this. Unfortunately, I do not stay at home, but my mother did most of the time (and when she didn’t, her work allowed her to be at home often). My father’s job was stable and he brought in an average salary. They still were able to go on a small trip each year, and then some. They have always harped on tithing and believe that because they give 10% of their salary, God will provide. Even when things got tight, they had faith that God would see them through, and he did.